A number of local sources claimed that more than 1,000 civilians had been killed or wounded over a week-long period as a result of alleged Coalition and Iraqi government bombardment of Old Mosul over recent days. However further details were sparse. Iraq News Center reported that the number of civilian casualties buried under the rubble was so high that civilian defense teams had been unable to keep up in their attempts to recover them, and many remain buried there. Activist Ali al Hamdani told Alaraby that “intensive bombing” by Iraqi forces was putting many thousands of civilians at risk because they aim to “resolve the battle quickly, without thinking about the fate of the trapped population”. Three of the five sources claimed that the Iraqi government was responsible. Meanwhile one alleged that both the Iraqi government and the Coalition was responsible. 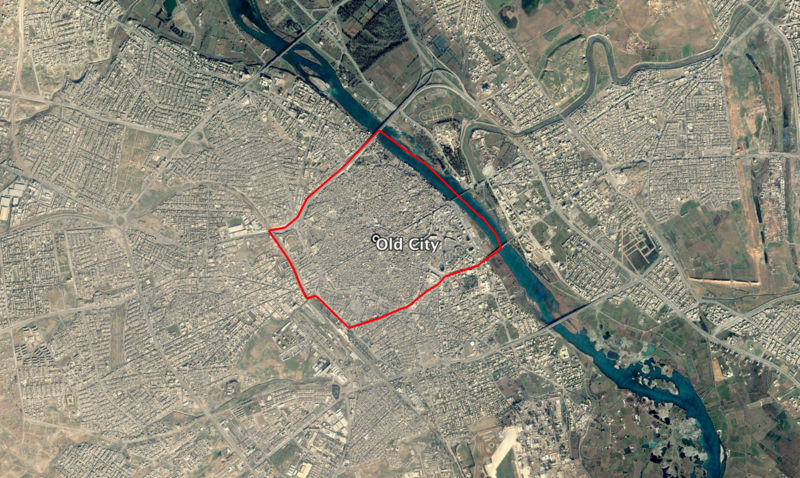 Reports of the incident mention the Old City of Mosul (موصل القديمة), for which the coordinates are: 36.34075, 43.126911.